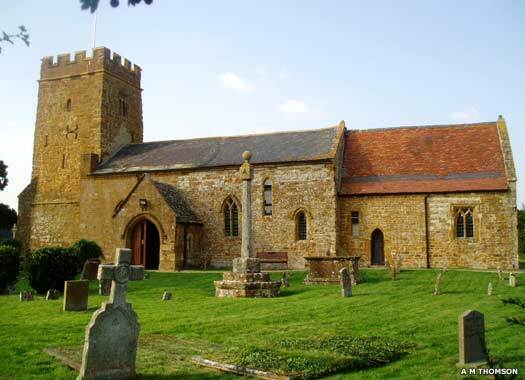 St Lawrence, Oxhill, is on the south-eastern corner of Main Street and Tysoe Road, and is dedicated to St Lawrence, a deacon of the early church who was martyred in AD 258. He seems to have enjoyed a degree of popularity in Warwickshire. 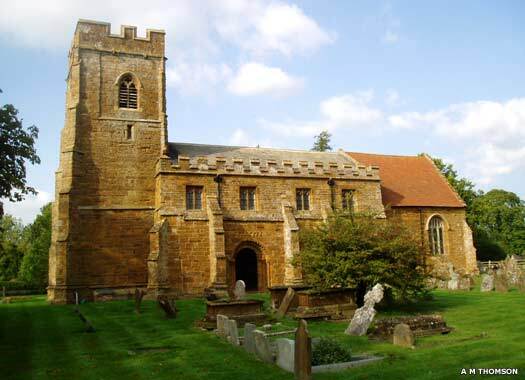 Both nave and chancel are Norman, dating to the mid-twelfth century and built in golden-hued Hornton stonework, but considerably repaired over the centuries. The tower and clerestory were added in the fifteenth century. The south face of the tower seen in the previous photo is of a different design to the other three with a belfry window that looks older, which, combined with its curious off-centre appearance, is maybe a remnant of an earlier tower, enlarged into the present structure. The east wall was entirely rebuilt in the seventeenth or eighteenth century, while in the nineteenth the church was in a very worn condition, and extensive restoration was undertaken in 1865 and 1877-1878. Oxhill Methodist Church stood on the western side of Main Street (shown in this Morland Series postcard). The first Methodist meeting was held at Oxhill House, the home of John Ward, in 1769. 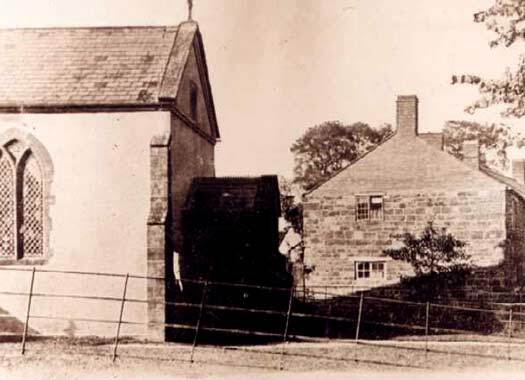 In 1814 Ward donated land for the chapel, and in 1839 the building was enlarged. Some problems arose with the standard of the chapel's fabric and considerable improvements were carried out in 1878. 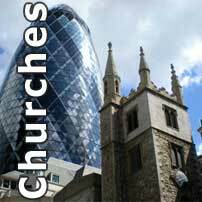 Membership dwindled after 1945, and the church closed at the end of June 2003. 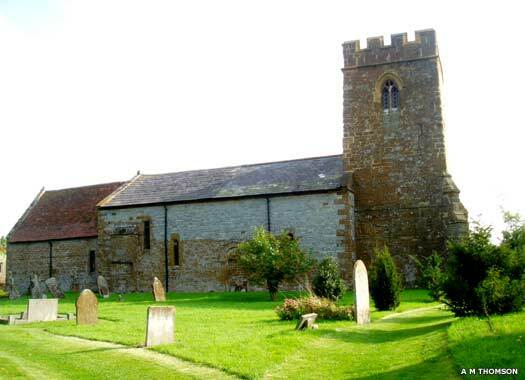 St Peter, Whatcote, lies at the southern end of the village, between Church Lane on the east and a residential lane on the west. 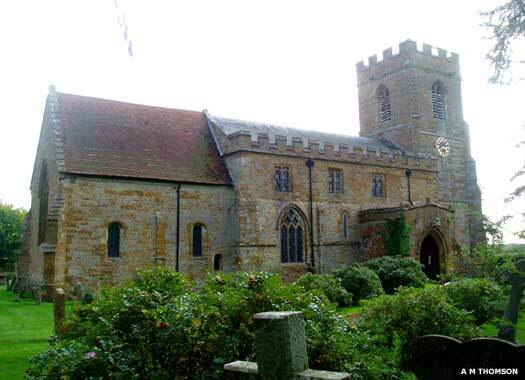 The church, constructed in the twelfth century, sits on the Centenary Way. The Benedictine priory of St Giles of Little Malvern was founded in 1171, and in 1368 the prior and convent were permitted to appropriate the church of Whatcote, apparently in return for the loss of various possessions in Ireland. It seems not to have been updated at all. Close to the altar is the beautiful Easter Window, which survived a dramatic incident during the Second World War. The church was badly damaged by a stray bomb, although only a nearby sheep was killed. Following the war the church was carefully rebuilt to its original style. The tower holds a ring of three bells, dating between 1652 and 1878, which were originally rung from the ground floor until substantial repair work had to be carried out on the tower in 2002. Four photos on this page contributed by Aidan McRae Thomson.